Panaji, Sep 9: The Goa police is leaving nothing to chance in the wake a high terror alert being declared in the state. The Anti Terrorist Squad has been conducting mock drills to prepare for any eventuality. Ahmedabad, Feb 27: The Gujarat Anti Terrorist Squad claimed to have foiled a major terror bid on Sunday in the state following the arrest of two brothers. Vaseem and Naeem were arrested by the ATS at Bhavnagar and investigations showed that they were planning on launching a lone-wolf attack in the state. One a graphics designer and the other a scrap dealer, the brothers were being guided by a handler of the Islamic State, the ATS said. From their home, a knife, an axe, bomb-making manual among other explosive material has been seized. Did ATS kill 2008 Malegaon blast accused? Mumbai, Dec 31: Were the two accused in the Malegaon 2008 blasts case killed in custody by the Maharashtra ATS and their bodies disposed off as victims of the Mumbai 26/11 attack? This was a revelation that was made before the court which in turn directed the National Investigation Agency which is probing the case. The allegation is that the two accused, Ramchandra Kalsangra and Sandeep Dange, were killed by the ATS in custody. It is also alleged that their bodies were disposed off as victims of the Mumbai 26/11 attacks. Author Vicky NanjappaPosted on January 3, 2017 Categories TerrorismTags 26/11, ATS, Malegaon blast, Malegaon Blasts, oneindia.com, Ramchandra Kalsangra, Sandeep Dange, Vicky NanjappaLeave a comment on Did ATS kill 2008 Malegaon blast accused? Mumbai, Dec 12: Indian officials are in touch with their counterparts in Libya to secure the release of Tabrez Mohammad Tambe who is alleged to have joined the ISIS. His custody is extremely important for the Maharashtra ATS which is trying to ascertain details about his friend Ali who is from Pakistan. Bengaluru, March 30:‎ The Mumbai Anti Terrorism Squad has picked up two persons from Bengaluru in connection with the Zaveri bazar blasts case. An ATS team, which landed in the city this morning picked up two persons from Frazer Town for questioning. The two persons taken for questioning are Dr Shahid and Saddam Khan. Their names are said to have come up during the questioning of Dr Afaq a resident of Bhatkal who was last week taken to Mumbai on a transit remand. 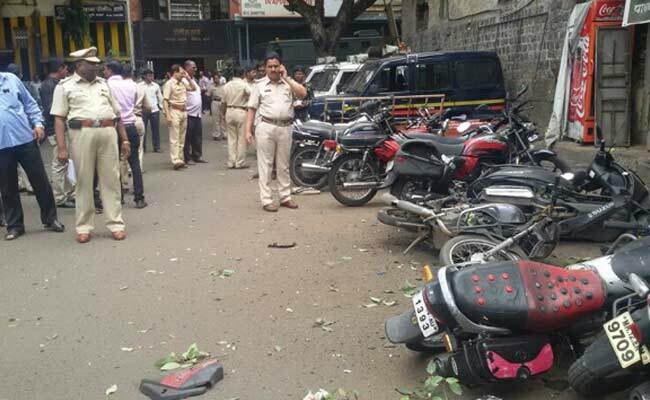 Pune blasts- Who is behind it? 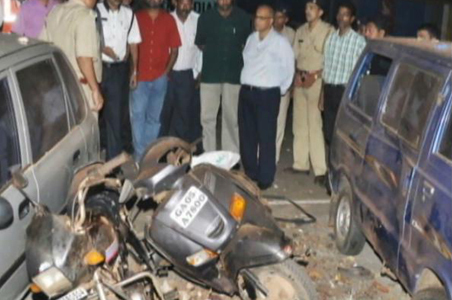 The blast at Pune yesterday fortunately did not cause much damage. It was a bomb powered by an IED coupled with ammonium nitrate, ball bearings and nails. The question now is who dunnit and as the Maharashtra ATS looks for clues and possible players, several theories float around this attack. An attack outside a police station becomes significant as it conveys a message. Terrorist groups normally carry out an attack outside a security establishment in order to send a message of challenge and try to say that they are capable at striking at the nerve centre of a security establishment. While everyone dismissed the Indian Mujahideen today as a defunct group, one must not forget that four years back they began their come back in a very similar manner. Moreover the city of Pune is no stranger to this group and it has carried out attacks more than once here which including the deadly German Bakery blasts. They carried out an attack in 2012 after the Germany bakery blasts in which all the bombs failed to create the impact they would have expected. However after this attack, the Indian Mujahideen bounced back and then hit India repeatedly by carrying out major strikes at Hyderabad and Bihar. Author Vicky NanjappaPosted on July 11, 2014 Categories TerrorismTags ATS, IED, Indian Mujahideen, Pune blast, Vicky NanjappaLeave a comment on Pune blasts- Who is behind it? There is more trouble on hand for the National Investigation Agency which is probing the Malegaon case in which Lt Colonet S P Purohith is one of the accused. The NIA which is clearly struggling in all the cases which allegedly have the involvement of right wing elements found itself in another spot of bother following the revelations made in an army court which were in favour of Purohith. 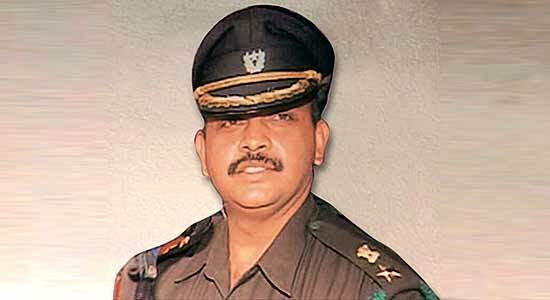 Purohiths case took a turn when the Army’s court of Inquiry suggested that he could have been an infiltrator into the Abhinav Bharath. His job was to collect information on the activities of this group and he was only doing his job as an official in the military intelligence. Although Purohith will be tried separately once the NIA files it chargehseet against him in this case, at the moment it looks extremely difficult for the agency to put up a strong case against him. The NIA after taking over the cases in which right wing groups are allegedly involved has had a Herculean task ahead of it due to various factors such as collection of evidence, battle of egos with the local officers just to name a few. Very recently the NIA faced a great deal of embarrassment when the courts granted bail to three persons. Ironically for the NIA this was not on the merits of the case, but to due to a mere technicality that they were unable to file the chargesheet in the stipulated 90 day period as mandated by the Code of Criminal Procedure. With regard to the Colonel Purohith case too the NIA cannot claim that it has managed to make headway in the case. The fact of the matter is that the agency has still not been able to secure his custody for interrogation. Moreover the claim by Purohith which is supported by at least 50 of his colleagues will hurt the case of the NIA. He had claimed that Sadhvi Pragya Singh Thakur was responsible for the blasts. This was a communication that Purohith had given to his superiors in the army three weeks prior to his arrest. He had also said that a person by the name Sudhakar Chathurvedi was his informer. However Chathurvedi was also made an accused in the case. With regard to Purohith the NIA came in much later into the scene. It was the Maharashtra ATS which had first started probing this case and most of the work on this case was done by this police force. It was almost two years later that the NIA came into the picture. It is now three years since and the NIA has still not managed to question Purohith in the case leave alone file a substantial chargesheet against him. The NIA at the moment is relying very heavily on the evidence that has been collected by the ATS. However a bare reading of the charges would only indicate that the NIA has a real lot of work to be done. The main evidence that the ATS had on it was the conversations that Purohith had with some of the accused. While this needs to be corroborated the fact is that with the new revelations it could be well a conversation an officer has with his informants. When a person is asked to infiltrate into an outfit then it is quite natural that he remains in contact with the persons associated with the group. While the ATS was unable to put forth a strong case on these conversations, the NIA will have to literally burn the mid night oil before it could prove these charges. The NIA apart from corroborating the evidence on the basis of these conversations will also need to prove the conspiracy theory as Purohith according to the investigators was the main conspirator in the case. The fact that he had been associated with the Abhinav Bharath will not be a good enough claim for the investigators. Purohith already states that his association with this group is an ideological one. The other accusation that the ATS had made regarding funds being provided by Purohith to the Abhinav Bharath is something that has not been established as yet. The money leads up to the Abhinav Bharath but from there it does not move and none of the agencies have so far been able to establish the money trail. Further the agencies are also struggling to establish the first charge that was made against Purohith that he had smuggled 60 kilograms of RDX for the blasts. There is no trail leading up to this and this too has put the NIA in a spot of bother. His links to Chathurvedi is something that the investigators will probe into deeper, but that too has a good chance of falling flat if Purohith is able to establish that he was only an informer to him. The NIA could not have found itself in a worse situation that this. The real probe itself is limping and add to their worry is the proceedings before the Army’s court of inquiry. Purohith will surely make use of the testimonies before the army court when he faces trial in the case that the NIA is handling. In addition this the the case against Sadhvi Pragya Singh will also have to be handled individually if Purohith manages to get away in this case. A major part of the case against Sadhvi is linked with Purohith and this makes the job even harder. Sources in the NIA however point out that there is no cause to be dejected. Our duty is to probe the case and now thanks to these twists and turns it may take a while longer. This case too like the many cases that we are handling were probed in a different angle and later handed over to us. Our job was always going to be tough in the given scenario. Apart from watching the proceedings in the army court we will also need to question some officers in the ATS who were involved in this case, NIA sources also pointed out.